The practice of speculating which coach will be the first fired in any given NHL, NFL or NBA season turns my stomach. For some reason, some feel it’s productive to skewer some poor guy on a spit and turn him until he’s done. The 45-year old MacLean has waited his whole life for an NHL coaching job and, after ten games, some already are calling for his ouster. It’s ridiculous. 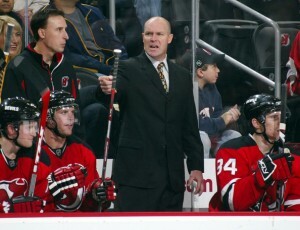 After playing the vast majority of his 1,200-game NHL career with the Devils, MacLean walked off the ice in 2002 and right behind the Devils’ bench as an assistant to Pat Burns. 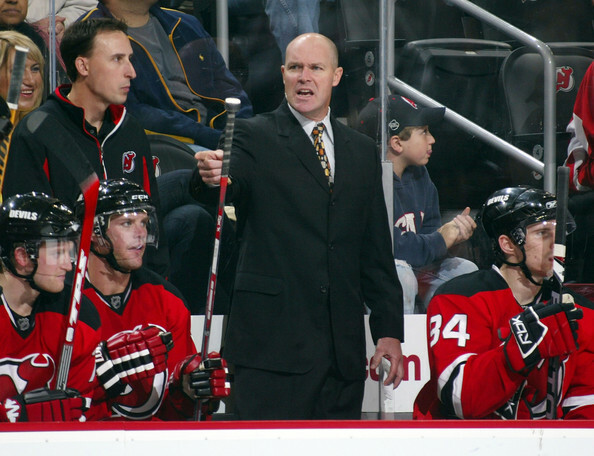 Over the subsequent seven years, MacLean worked successfully under five permanent and interim head coaches with New Jersey. Last year, he finally took the head coaching reins in Lowell, the Devils’ AHL affiliate. In Lowell, MacLean led the team to 39 wins and a playoff appearance. 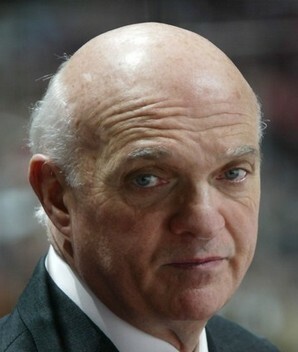 Last June, he was hired to replace Jacques Lemaire. All a first-year NHL head coach like John MacLean wants to do is step into the job and take a little time to settle in. Unfortunately, because he’s had to deal with Ilya “The Princess” Kovalchuk, that hasn’t been possible. Calls for MacLean’s head came to a point last Saturday, when the coach told The Princess he wouldn’t be dressing for that night’s game against the Sabres. I’m sorry, did I miss something here? The last time I checked, players were expected to be at team meetings on time. If they are not, it’s up to the head coach to deal with the situation as he sees fit. Of course, we all know the problem is that The Princess is New Jersey’s $100-million dollar man. The Devils spent the entire summer deciding how much of their money to waste on Kovalchuk. Perhaps MacLean should have immediately come clean with the media about why he didn’t dress Kovalchuk. But he obviously feels that team matters should be dealt with internally. That’s his choice. Now, MacLean’s problem has another component. The Devils have scored only 17 goals, while winning just two of their first ten games. With offensive players like Kovalchuk, Zach Parise, Jamie Langenbrunner and Travis Zajac, it makes no sense that a MacLean-led team isn’t scoring. MacLean had three 40-goal seasons in his heyday in New Jersey. At the time, he was about the only Devils’ player who could put the puck in the net. The Devils have always been a “team first” organization. That attitude won them three Cups. But now the signing of The Princess has thrown all that out the window. MacLean didn’t become an idiot over the course of October. What happened was that he was handed Kovalchuk and told to coach the uncoachable. This week, Devils’ GM Lou Lamoriello gave MacLean a verbal endorsement. That’s never good. I feel for John MacLean. He’s in a no-win situation. If he gets piped, another good man will have lost his job because the inmates, spearheaded by their over-paid, underachieving leader, are running the asylum. What collective group of morons thinks that ten games is a good test of any coach’s mettle? Management needs to get behind MacLean, and visibly support all his decisions – then the message will be clear to the team that he’s the man. Otherwise, the Little Princess and all his handmaids will simply run rough-shod over their coach. Where’s that Fairy Godmother when you need her?